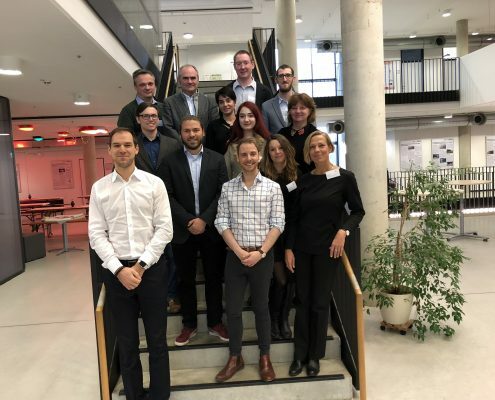 On December 13th and 14th, the FISMEP consortium came together for the first time in Aachen, Germany, to jointly discuss the three-year project. A new project is always exciting for everyone involved. 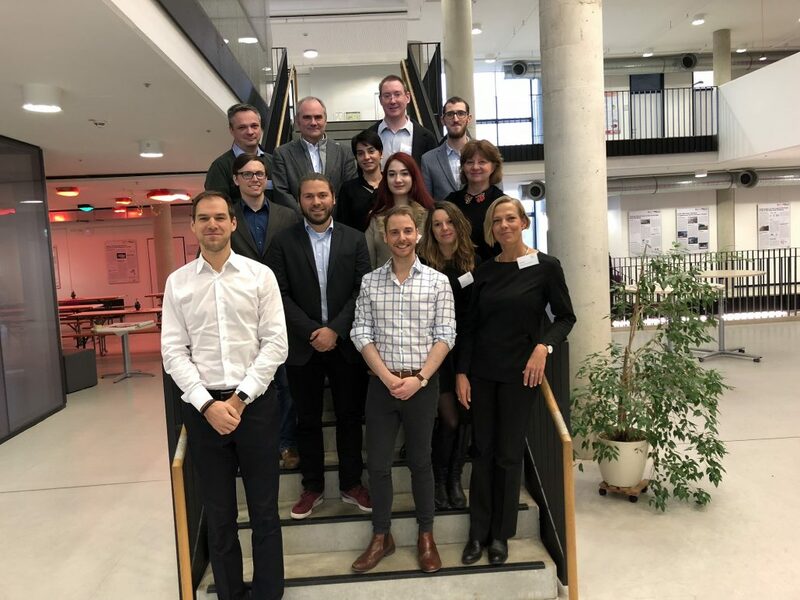 Therefore, the Swedish, Romanian and German partners of the EU project “FISMEP“ were full of expectations during their first meeting at the E.ON Energy Research Center (E.ON ERC) of RWTH Aachen University. Prof. Antonello Monti, the project coordinator from RWTH Aachen, opened the meeting on the first day and gave a general project overview, pointing out the primary objectives, challenges and milestones. Throughout the remainder of the two meeting days, the project partners then presented their individual work packages to the consortium, with major emphasis on the three field tests. Ulrike Rahe from Chalmers University of Technology, who represented the Swedish project partners, gave an insight into the HSB Living Lab at Chalmers campus in Gothenburg, showing how monitoring and analytical measures for smart energy environments are carried out in everyday life. Dr. Mihaela Albu from the University Politehnica of Bucharest and Stefan Gheorghe from the Romanian energy company EnergoBit presented their collaborative contribution within their field test which focuses on the development of advanced measuring of distribution grids and voltage quality. 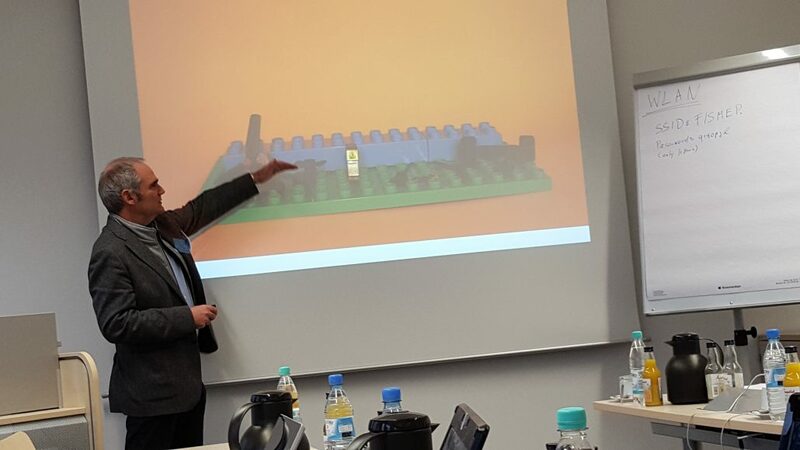 Alberto Dognini from RWTH Aachen University gave first insights into the German field test where an MVDC grid and its automation will be developed. 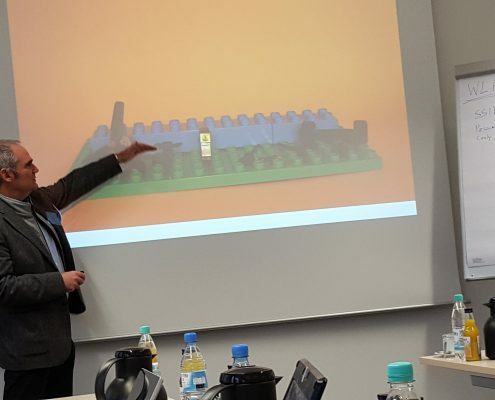 Stefan Lankes and Maliheh Haghgoo, also from RWTH Aachen, then explained how the requirements for the platform will finally be implemented into a feasible software architecture and how it will be validated in connection with the field sites. Besides presenting the individual work packages and discussing concrete streps within the project, the consortium also had the opportunity to have a joint walk through the working facilities of the E.ON ERC where parts of the German field tests will be carried out. At the end of the two-day meeting, everyone mutually agreed that the next three years will hold a lot in store and all project partners are positive that interesting and fruitful results will emerge from the FISMEP project.